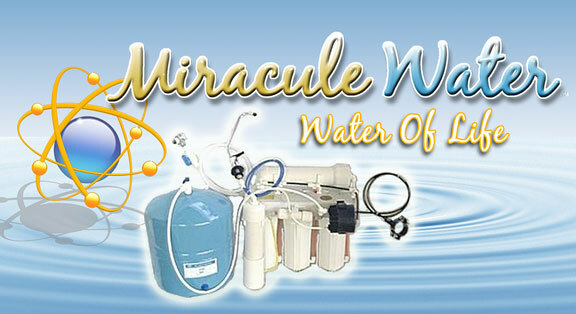 Miracule Water Drinking Machine Enjoy ORME (Monoatomic gold) Technology with Miracule Water. World’s Greatest Water Filtration System in your home or work environment. Removes radio active particles from the body. Creates Orgone. Separates the mono-atomic super conducting elements.Creates high levels of age reversing ORP. Maintains a perfect ph body. Our Miraculewater water filtration systems are unique in the fact that we keep the beneficial elements in the water but remove the harmful contaminents. We incorporate the beneficial elements called mono-atomic elements using magnetic technology, then remove 99.9% of all harmful contaminants, and the final stage is to add beneficial magnesium oxide back into the water to re-stabilize the PH. DIMENSIONS: 15 inches high, 15 inches long, and 10 inches wide.